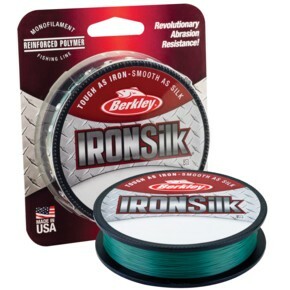 Voted Best New Line at ICAST, Berkley’s new IRONSilk has been designed to be fished in the most abrasive environments – like around zebra mussels, pads and rushes, docks or riprap. IRONSilk is up to 33% more abrasion resistant than other lines of the same diameter while its unique, smooth composition allows it to flow through rod guides 20% to 25% percent faster, delivering longer, smoother casts. New IRONSilk is opaque green, has great UV resistance, comes in 300 yard spools sizes and is available from six to 20-pound test.